Bali Restaurant Jimbaran is a famous area where we can eat fresh seafood. 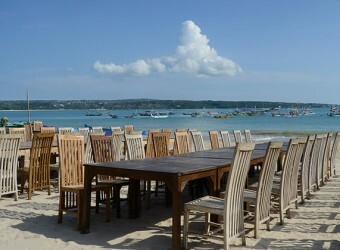 Wali Beach Cafe is aiso located on Jimbaran beach. At the restaurant, you can enjoy fish,squid, and shellfish. Even if your children don't like seafood, they can provide special menu for kids, grilled chicken.